About us | our stork was lost, but we found him!!!!! 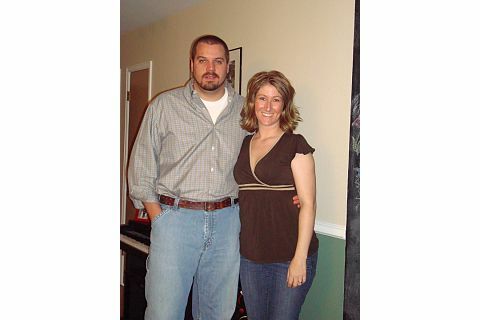 Jeff and Kerry met in the fall of 2000, while working together at Nextel Communications. It wasn’t exactly love at first sight, since Kerry was in a relationship, and Jeff thought she was arrogant and annoying (what?!?!). But, Kerry got dumped, and Jeff realized what a catch she was, and that was the beginning of our wonderful, whirlwind romance. 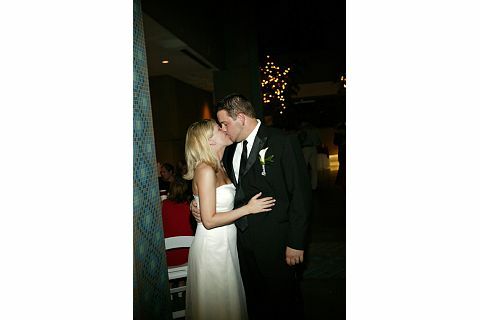 We started dating in March 2001, were engaged in June 2002, and got married August 29, 2003, in a beautiful outside ceremony. We live in Aurora, CO, and have one four-legged child, our 5 year old Yorkie, Rex. 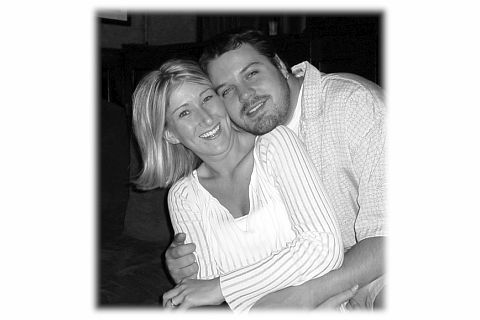 After struggling with infertility for almost three years, we decided to pursue IVF – in-vitro fertilization. This was a HUGE step for us emotionally, physically, and financially, but we were READY! Please feel free to comment or ask any questions you may have about the process, as we are both open books and willing to teach you what it feels like to “lose our stork”. 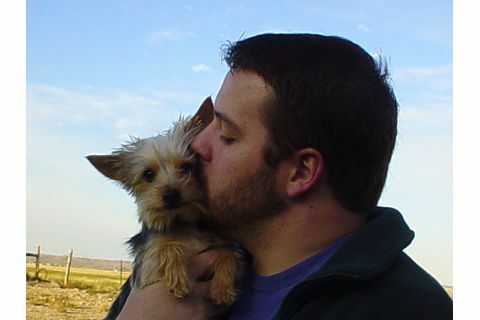 Our Yorkie, Rex, and his daddy. One of the happiest days of our lives, our wedding day. And another happy day - our 5th wedding anniversary! 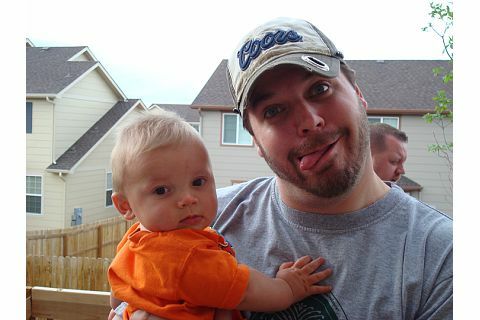 Proof that Jeff will be a fun daddy, with our nephew, Asher. We love you guys and wish you all the best (and the worst *wink*wink*) that is in your future 🙂 I know Ash is rooting for a little cousin!!! Damn you are one good lookin’ couple. With all that hotness I’m sure you’ll be prego in no time! Thanks for sharing your blog address ~ can’t wait to keep up with you here, as well as our other places of chatting! GL, lady! So I totally had NO idea about this site until I was going through our deleted items and saw that…mmmhmmm…Mr.JD had deleted your e-mail. So anywho I am so exctiedf ro you guys and can’t wait to see the ultrasound pictures!!!!! I was asking Jeni about you guys and she had mentioned this site as well. So can’t wait to follow! Isn’t it funny how life takes you on totally different paths than you ever imagined were possible!? I’m prayin’ for you guys and can’t wait to hear about you announcement! love you guys and BEST of wishes! We’re thinking about you guys. Just know you’ve got our support and we are here for anything you may need in the coming months. We look forward to hearing how everything’s going and will definitely keep checking this site. Between all the appointments we would still really like to get together soon. Just a note that we will be thinking of you guys this week and wish you the best. Hang in there. You will make excellent parents as you both have so much love to give. I’ve been reading the blog but haven’t written you until now, but have been thinking of you two and your struggle. hey guys! i have been reading the blog every few days to see what has been happening. i wish you all the best and know that everything will work out really well. take good care and keep the positive attitude! that is half the battle.